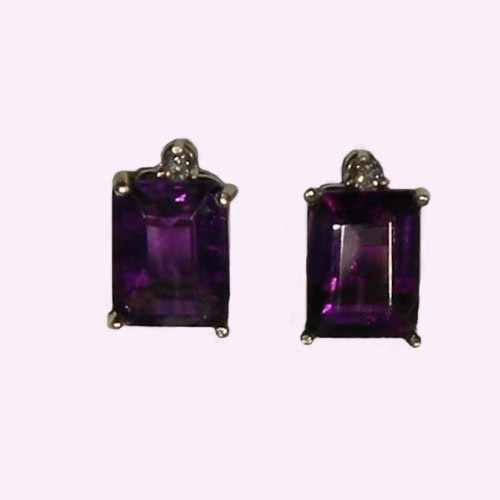 Desc: 14 karat white gold post earrings containing emerald cut amethyst and round brilliant cut diamonds. The diamonds are prong set above the amethyst. The Amethyst is the birthstone for February. We can provide the Amethyst enthusiast with any shape and carat weight (contact us for details).